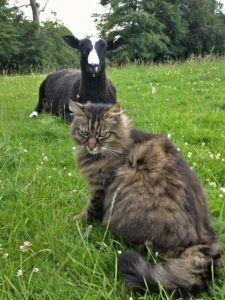 Bodacious the cat shepherd is also known as Mr.B, he has a huge following of admirers on Twitter. 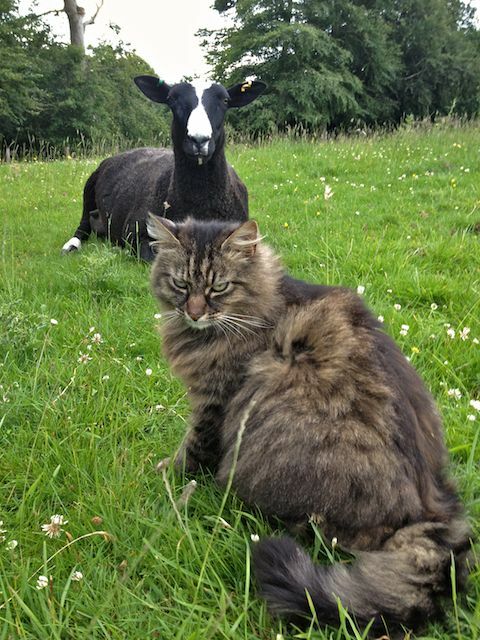 I have been asked several times to give him his own account but he is as much a part of the Zwartbles flock as he is his own cat. 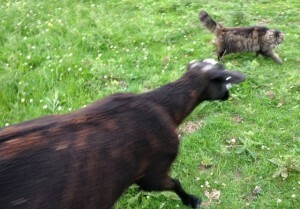 Bodacious loves walking the morning and evening rounds on the farm, inspecting all the Zwartbles sheep. At the moment it is the week after weaning so a close inspection of all the ewes is important to make sure they are drying off well. 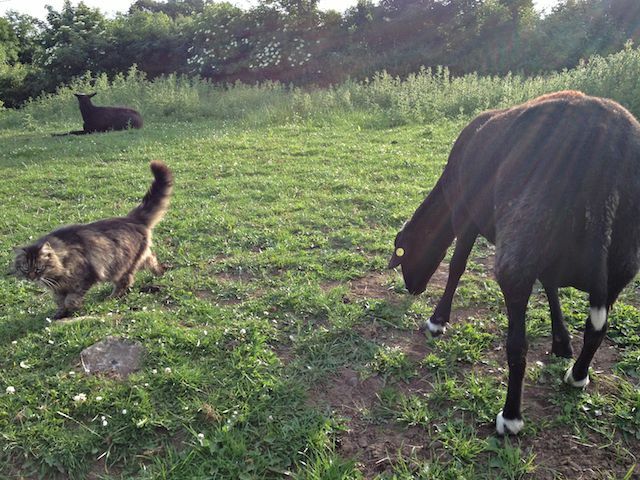 Also we have to keep an eye on what the lambs are doing making sure they are not getting into any mischief without their Mothers to keep them in line. 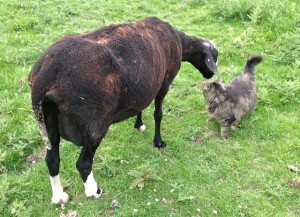 When doing our rounds with Bodacious the sheep even walk up to greet him, if they are in the mood. Depending on the sheep’s approach to Bodacious he will trot off, pause to say hello, or roll over on his back. 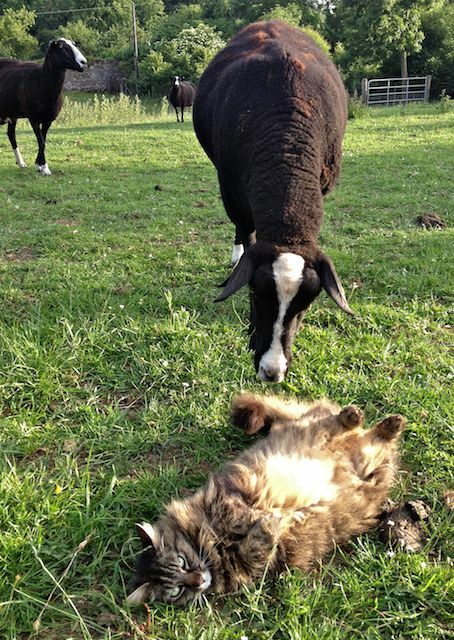 Bodacious is very business like and takes his work very seriously, most of the time, helping count sheep or directing me as I work. I will be writing more of his adventures on the farm and with his flock of Zwartbles sheep so keep an eye out for the Cat Shepherd Diaries if you want to keep up with his adventures. 2 Responses to "Diary of Bodacious the Cat Shepherd aka (Mr.B)"
I have a new shepherd helper visiting from the big city of Hong Kong, my young niece. 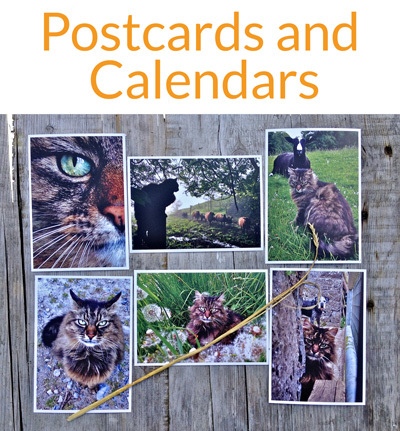 So very sorry I only just saw this message.